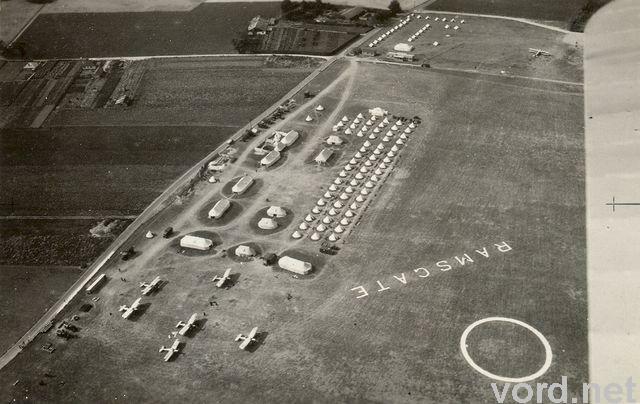 "Summer, 1937 saw the part-time squadron flying its nine Avro Tutors and Hawker Harts down south to Ramsgate for a two week long 'Summer Camp'. 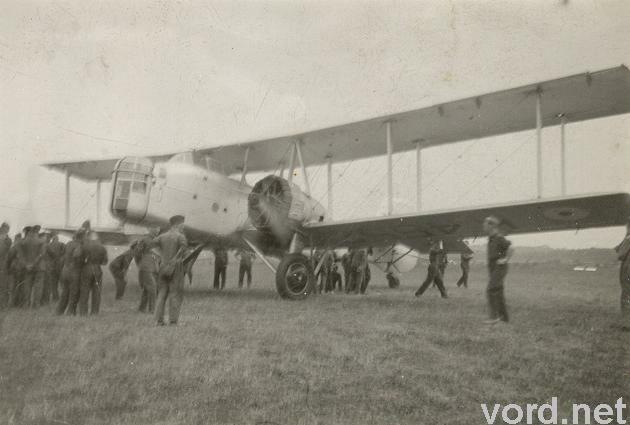 This appears to have been regarded as something of a paid holiday by many of its pilots, some of whom gained the unnerving (though valuable) experience of flying and landing whilst still suffering the after-effects of a previous night out in nearby London." ....."However there was a wire anchored to the floor and the other end had a fitting which in some way fastened to the harness. 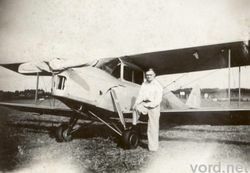 It gave me some comfort to know I was now part of the aircraft and there was no way that sort of accident could happen." 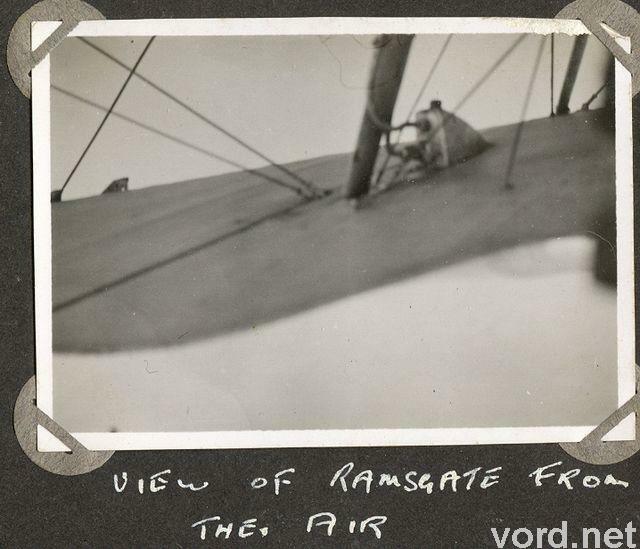 ....."We did not fly very high and as we flew along the coast over Ramsgate, Broadstairs and Margate, some of the people on the beach waved to us. 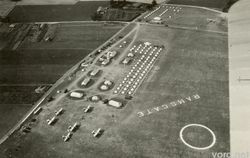 Coming back we took the inland route to the airfield." "Coming down I expected to get that sinking feeling but with the excitement of the flight I was too thrilled to have any feelings until we were bumping along the ground. 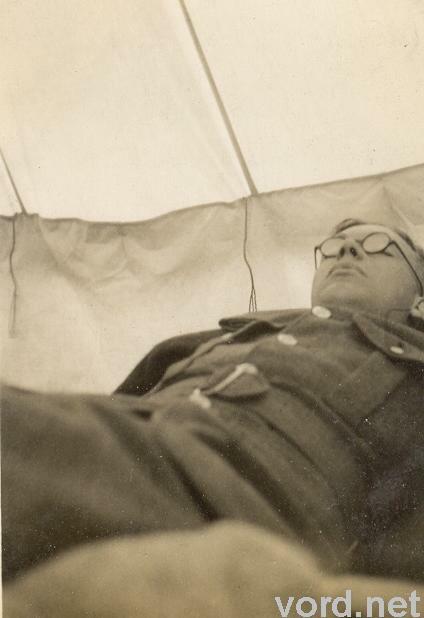 The whole flight was a sensation I have never forgotten." 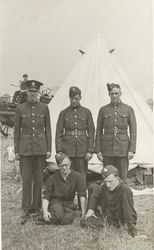 609 Auxiliaries at Ramsgate Camp in 1937. 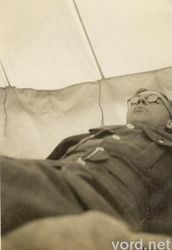 A mechanic with 609 squadron, relaxing in his tent at Ramsgate Camp. My grandparents would keep in touch with John Payne until his death in the 1990s. He would be a regular dancing partner to my grandmother who remembers he was particularly good at quickstep. Piloted by flying instructor Flight Lieutenant N Odbert. 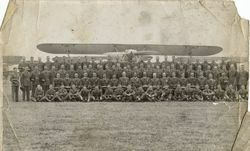 It was presumably used to transport 609 Auxiliaries from their base at Yeadon to Ramsgate Camp. The photograph includes both pilots and ground crew. 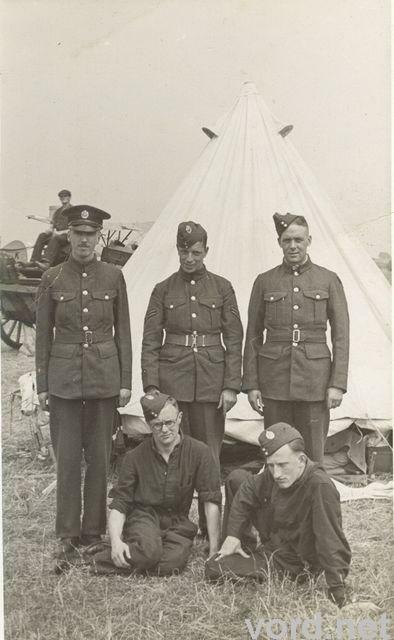 Jack Lister is 8th from the left in the bottom row.